Carmelo Anthony is expected to announce on Thursday that he will sign an extension with the New York Knicks, according to reports (Frank Isola, NY Daily News). A source close to Anthony said that Anthony “believes in Phil (Jackson)” and, after “agonizing over” his decision for a week, will remain in New York barring a last-minute change-of-heart. 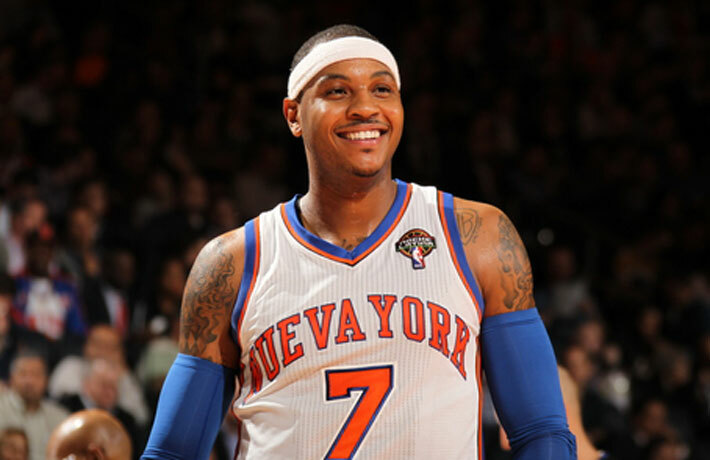 It is unclear whether Carmelo will accept a max contract or take a pay cut. And, of course, nothing is set in stone, at least not yet. But it certainly looks like, as many thought would happen, the lure of the Garden, the big city, and the money, as well as the 13-time NBA Champion Jackson, have convinced Melo to stay with the Knicks. While Melo’s camp is publicly maintaining that no decision has been made yet. However, reports are starting to come out suggesting he has been leaning towards the Knicks the whole time, that the Knicks expect to keep him, and Anthony has no plans to walk away from the paycut. Isola’s report has not been confirmed by Carmelo’s camp or by other outlets just yet, but he’s one of the more reputable reporters out there… expect something to come out later tonight. We’ll keep you posted. Expect an announcement tomorrow, when contracts can officially be signed. 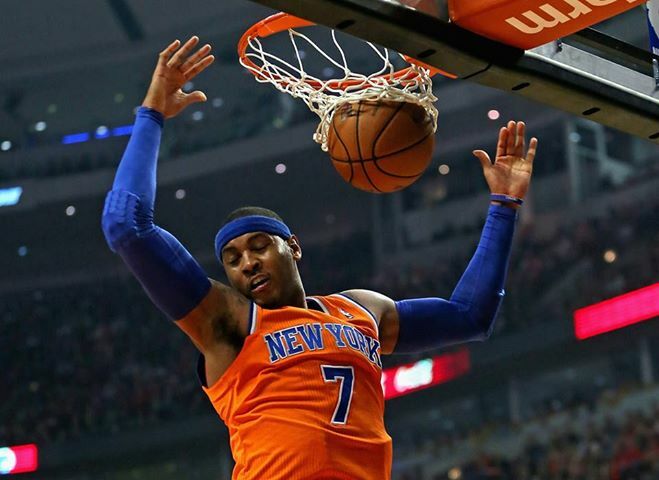 This entry was posted in Articles and tagged Carmelo Anthony, carmelo anthony knicks, carmelo anthony staying with knicks, carmelo staying, knicks keep melo, KNICKS MEMES, Knicks news, knicks rumors, knicks sign melo, melo, melo staying, new york knicks, NYK, tommy rothman knicks on July 9, 2014 by Tommy Rothman. — Carmelo Anthony, in an interview Thursday with TNT. This entry was posted in Articles and tagged carmelo, Carmelo Anthony, carmelo anthony contract, carmelo anthony knicks future, carmelo anthony retire a knick, carmelo anthony wants to stay, KNICKS, melo, melo free agent, melo staying, will carmelo anthony leave the knicks, will carmelo leave, will the knicks keep carmelo anthony on November 1, 2013 by Tommy Rothman.